…… here in New York. Except …… for days like tomorrow. Tomorrow is the New York Marathon. And no, I”m not running in it. Though I doubt that any of you thought that for even a nano second. If you did, you must be new here. And know that I don’t run. Except maybe a sighting of George. But my neighborhood is smack in the thick of things for the marathon. 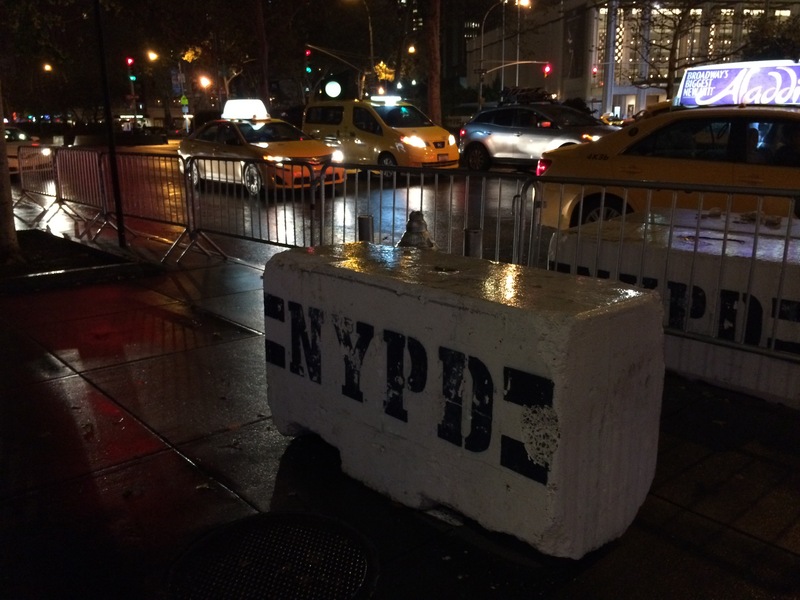 These barricades are going up all over around here. And tomorrow will be totally insane. If I leave my apartment building, I won’t be able to get back in unless I have a proper I.D. Which means that I’ll be hunkering down for the day. Hunkering, as in …… what we all did during that last hurricane in Houston. Except I don’t think I’ll need extra water or batteries. Maybe I should go fill up the bathtub when I’m done here. As crazy as this weekend gets, the day before Thanksgiving is worse. That’s because they blow up the parade balloons not far from here. And they shut down all traffic in this area. Last year we went to watch the balloons get blown up (? ), and when I tried to go home, the police wouldn’t let me. I had to walk in a very, very large circle to go around all of the barricades. Did I mention that it was freezing that day? If any of you watched the Macy’s Thanksgiving Parade, you might remember that they had to lower all of the balloons because of the wind. A freakishly cold and very, very strong wind. I love that I have two major subway stations on either side of me. I love that I can walk to Times Square, and the Theatre District, in about 20 minutes. I love that Central Park is behind my building. But I’m not a fan of the barricades. Or the fact that it’s kind of hard to prove that you live here when you don’t have a driver’s license that backs that up. Or any other kind of I.D. On the other hand, it’s very cold and rainy right now. And is supposed to continue to be tomorrow. So it will be a great day to hole up. Today I tortured myself in barre class. And then I went to a play with several friends from the Manhattan Women’s Club. Which sounds so much more posh than it is. We went to see Tail! 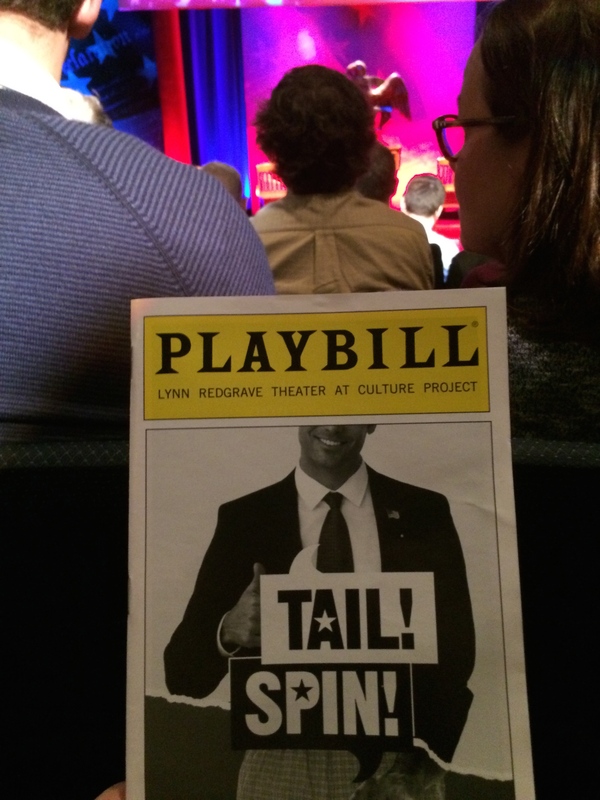 Spin!, an off-Broadway play about a few crummy politicians. It was hilarious. 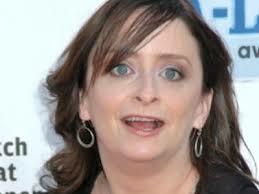 And, since I didn’t do any research about it, I was surprised when the small cast came out, and the one female cast member (with four men) was Rachel Dratch. You know, from Saturday Night Live. For 7 years. Tonight I’ve been watching “Begin Again”, with Keira Knightley and Mark Ruffalo. Oh, and Adam Levine. I think that the movie is ok, but I love the soundtrack. I’m still working on my secret project. I’m dying to reveal it, but I have one more week of secrecy. Unless I just can’t stand it any longer. I have to go watch the police set up the barricades. I know. Sometimes the excitement is almost too much, isn’t it? This entry was posted in Uncategorized and tagged happiness, Hope, life after loss, life in NY, widowed on November 1, 2014 by mysecondplana.